Mini Art Painting Station - Mix Colours and Paint! 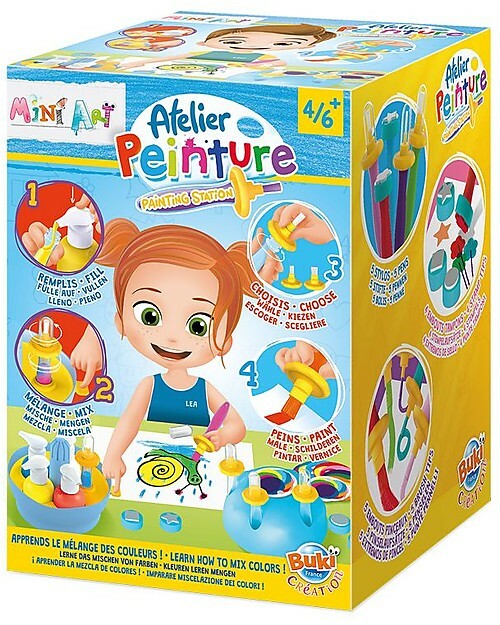 Created by French brand Buki, Mini Art Painting Station is a toy, but also a fun and educational way to teach young children about mixing colours! Look at the sheet, pour the colours into the pen, place it in the station and press the button to watch the pen spin and the colours mix! Now you can start painting! Really fantastic! Create many wonderful drawings full of colours and let your mom and dad participate to this wonderful game! 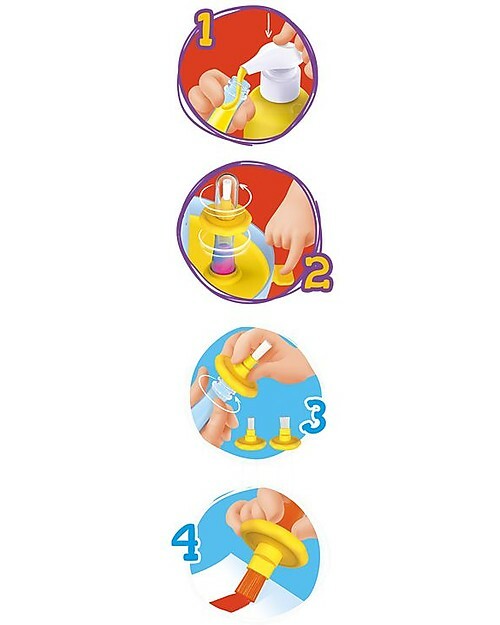 Mini Art Painting Station is a play for the whole family! By stimulating kids’ curiosity and showing them what they can actually make, Buki’s kits, games and toys are the nicest and funniest way to introduce kids to creativity and dexterity! 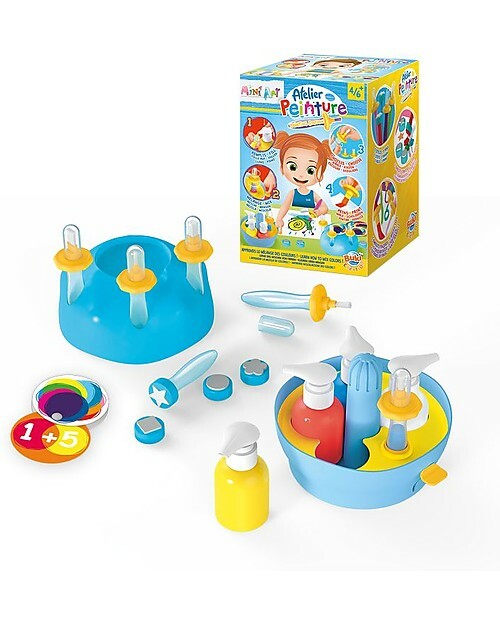 Founded in 1992, Buki is a French brand with a team of designers, illustrators and scientists working together to bring us scientific and creative games and toys. All Buki experiments, recipes and activities are tested and approved by children! 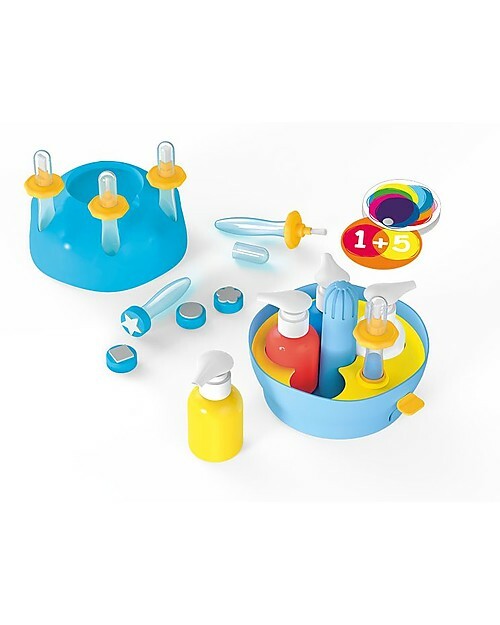 All Buki kits are designed for the whole family to play together, for educational games and family time at once! Tested by independent laboratories, all Buki products meet the strictest security European Standards.